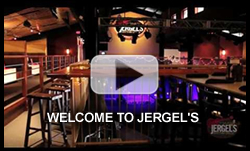 Jergel’s has a full-time booking and talent buyer on staff to negotiate and facilitate all of our bookings. Whether you’re a local or national act, feel free to connect with Michael LaManna to discuss your offering. We’re interested in seeing everything that’s out there and discovering that “needle in a haystack” unknown talent.